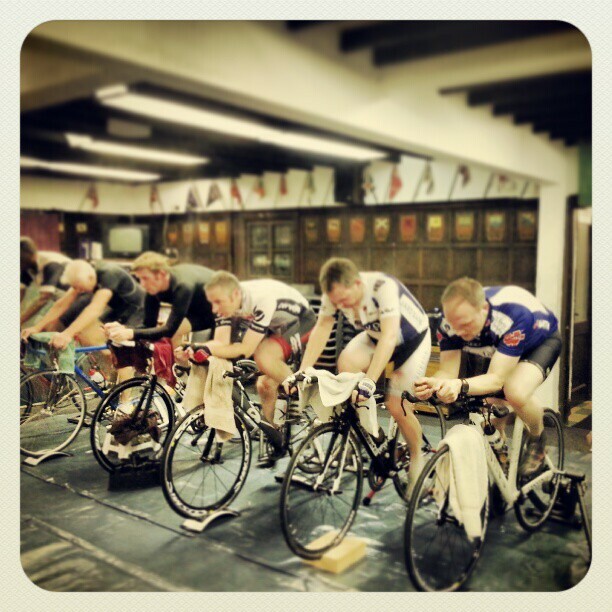 The club will be open from 7pm each Tuesday for bike set-up, and the hour long session starts at 7:30 prompt. The cost is £3 for Hounslow And District Wheelers, and £4 for non members. Everyone is welcome, including youths. Just bring your bike, your turbo, a towel and a drink. Riders will be subjected to tempo electonica music in a bid to help take the mind off of the subject of suffering. Contact Dave for more details.